But Dr. George Tiller, a physician who performed late term abortions, was murdered while attending church in Kansas. I have my questions about late term abortions, but he performed legal services. He had survived a similar attempt in 1993. Here’s a little background info on the suspect, courtesy of the conservative blog Little Green Footballs, who to their credit are not softpedaling this incident. Addendum: Randall Terry says Dr. Tiller got what was coming, then invites everybody for hot wings and beer. And here’s a slideshow of photos of a vigil in SF tonight taken by frequent poster Moonshadow. For just the photos, go here. Susan Jordan was a movement attorney who had handled many of the marijuana defenses in Humboldt and Mendo counties. She practiced in Ukiah and Oakland, representing clients all over the state. She was on her way to a yoga event of some sort when her small plane crashed. I first met her at a National Lawyers Guild event in Oakland in 1996 where she was recognized as their attorney of the year. So many movement lawyers like Dennis Cunningham (who apologized at the event for the sexism she faced when they were partners in a firm during the 1970s, an apology which almost brought her to tears) and Beverly Axelrod (long time friend of Jordan’s who represented Eldridge Cleaver and helped write Soul on Ice) paid tribute to her. My partner Les Scher introduced me at the event and I had the pleasure and good fortune of working with her on cases when civil law elements encroached on her criminal cases. She was brilliant, compassionate, and dedicated. Jordan was famous for groundbreaking “battered woman defense” to violent crime charges, but also worked marijuana defense, discrimination cases, and civil liberties cases. She successfully defended Mendocino County against a challenge to Measure H. She was also recently made the Hopland Pomo Indian Tribe’s first judge. She also negotiated the plea bargain for Sarah Jane Olson, an SLA member who had been arrested after 23 years underground. Thanks to Heraldo for bringing my attention to the first video. Youtube had a few more. And here’s a video of the Humboldt delegation to DC to nab some transportation money. All three videos were posted on Youtube by someone going by the handle coastoak. Sorry, I forgot to post this. By the time you’re reading this post it’s probably already happening. Head on over. 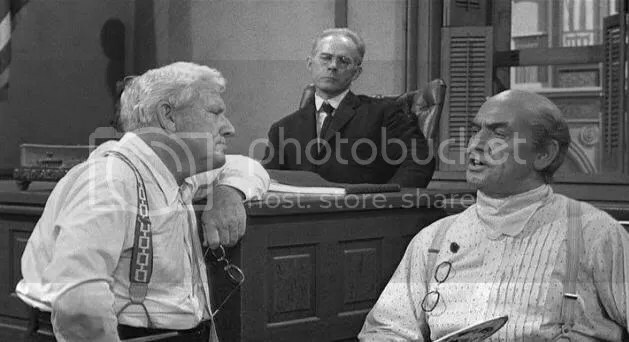 For another lazy Friday post continuing the top 10 movie series, I offer the ten best lawyer movies of all time. A few honorable mentions: And Justice for All, Presumed Innocent, and Breaker Morant. No, I don’t like any of the Grisham novel adaptions I’ve seen. I think I’ve only seen The Firm and Rainmaker. Addendum: A Passage to India belongs on the list. I don’t know where. There’s an alert which was announced on KMUD of an armed robbery or burglary on Bell Springs Road and that the suspects are at large identified as three African-American men in a white vehicle with faded white paint. They’re probably on 101 on their way to the Bay Area by now. I don’t find the alert on the Sheriff’s press release page. Tom Seabourn has some information. It’ll be at the courthouse, tonight at 5:00 p.m.
It’s part of a national coordinated action. Single payer advocates have largely been left out of the discussion. In fact, they’ve been asked to leave meetings as Obama vehemently resists the concept. From my point of view single payer is a moderate proposal. It’s socialized insurance, not socialized medicine. Addendum: Looks like Kennedy’s not going quietly into the night. He’s calling for a public option which can at least compete with private insurance companies. Right here. Having read the article and listened to Terry’s broadcast the other night, I do have some additional observations, but I’ll refrain from further comment for awhile. Amazing as it may sound I’m not up for arguing at the moment. I’ll take it up again in a few days. Right now I just want dinner and a quiet evening with a good book. Not heady stuff, but entertaining. A little scary. North Korea has declared the Armistice null and void.